Mike is the Founder and Managing Director of thoughtLEADERS, LLC – a professional training firm focused on leadership development. 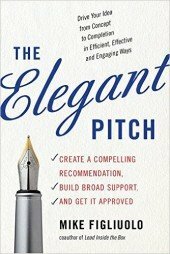 In his third book The Elegant Pitch, Mike shares a tried and true method for creating compelling recommendations that move your audience to action. His last book Lead Inside the Box: How Smart Leaders Guide Their Teams to Exceptional Results is designed to help leaders use their time and effort more efficiently and effectively so they get the best performance possible out of their teams. His first book One Piece of Paper: The Simple Approach to Powerful, Personal Leadership is designed to help leaders define who they are and what their personal leadership philosophy is. He teaches a course on the Elegant Pitch method in which he facilitates your use of the approach covered in the book to make your communications clearer and more compelling. He’s also available as a speaker for your next event. Simply contact him if you’re interested in bringing him into your organization to speak. He graduated from the United States Military Academy at West Point in 1993 where he was an honor graduate and a Distinguished Cadet. Upon graduation, he was commissioned as an officer in the United States Army. He spent five years as an Armor officer in a variety of roles including Platoon Leader, Executive Officer, Personnel Officer and ROTC Instructor at Duke University. After leaving the Army, he joined McKinsey and Company as a management consultant. He served clients in several industries (banking, retail, healthcare, chemicals, and technology) on a variety of issues (strategy, mergers & acquisitions, cost reductions, growth and business building). 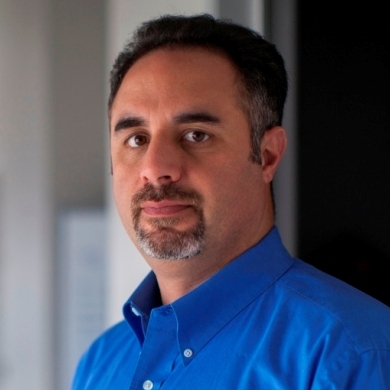 He also published many of his findings in professional development documents proprietary to McKinsey as well as publishing an article in The McKinsey Quarterly. Mike next worked at Capital One Financial as Group Manager of Strategy & Analysis and as Director of Specialty Collections. He was responsible for ~$1B in collections, a $125MM budget and the performance of 150 employees. The initiatives his teams put in place delivered over $125MM in value. Mike’s most recent roles were Vice President, Quality Improvement, Customer Service, Business Development & Service Support for Scotts LawnService where he was responsible for acquisitions, division strategy, technology infrastructure, customer service, and franchise operations. Previously, he was Vice President, Strategic Planning at The Scotts Miracle-Gro Company (SMG) where he was responsible for setting the strategic direction of the company by working directly with the executive team (CEO, CFO, Division Presidents) to assess where to take the business long-term and then identifying opportunities to achieve corporate goals. Mike founded thoughtLEADERS because he believes practitioners make the best instructors and because he has a passion for people development and organizational improvement. In 2010 he was named the Columbus, Ohio Small Business Leader of the Year by the Columbus Chamber of Commerce.